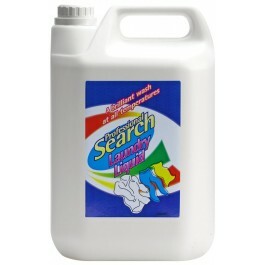 Evans Search Laundry Liquid is a high active laundry liquid formulated to remove heavy stains, soil and odours. Contains a pleasant perfume and is highly effective in a high or low temperature washing cycle. For use in all types of automatic, non-automatic and industrial washing machines. Suitable for washing by hand. Concentrated low foaming laundry liquid. The blend of detergents and optical brighteners provide a brilliant cleaning performance. Outstanding washing ability at all temperatures in hard or soft water. Appealing perfume leaves fabrics smelling fresh and clean. Contains a pH of 8.0. Pour into the main wash dispenser, dosing ball or dispense into machine through an electronic dispenser. Problem stains may be treated by pouring a small amount of product onto the stain, rub in gently then wash as normal. Please remember to check the colourfastness of the fabric first and follow the garment’s washing instructions. 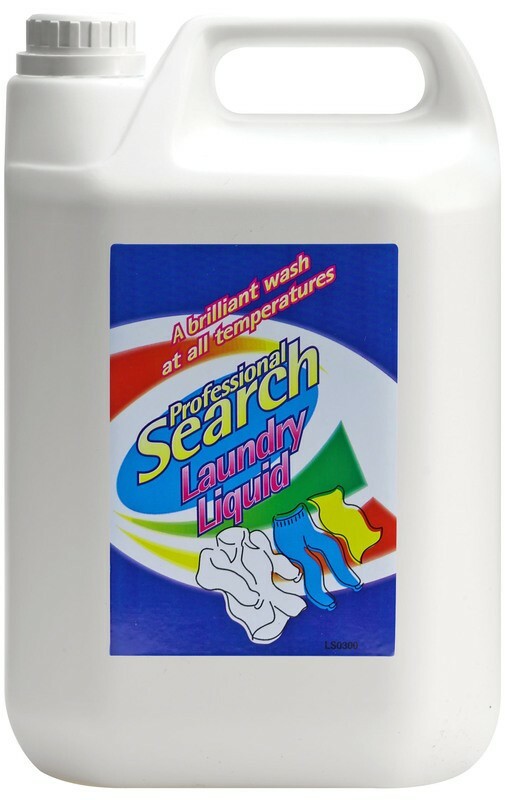 For extra softness we recommend the use of Search fabric conditioner in the final rinse. To help calculate the correct dilution, the bottle cap holds approx. 100ml.